“I have spoken these things to you, that My joy may remain in you, and that your joy may be full” (John 15:11, MEV). Loveless Christians are joyless Christians. But when self is drowned in the love of Christ, the result will be unspeakable joy. Faith in Christ implants joy in the believer’s heart. But joy is much more than the result of salvation. And it is much more than happiness. Happiness comes from an old English word hap. Hap, or happiness, is related to the word happened. Happiness, then, is produced by an outside event, by external causes, the product of circumstances or what has happened. Thus, it cannot be enduring. It changes with the circumstances. Jesus said, “I have spoken these things to you, that My joy may remain in you, and that your joy may be full” (John 15:11, MEV). The implication of the verse is that joy is full and permanent—that it remains with the disciples. Jesus had joy that was not dependent on circumstances—He was filled with joy even as He prepared for the crucifixion. 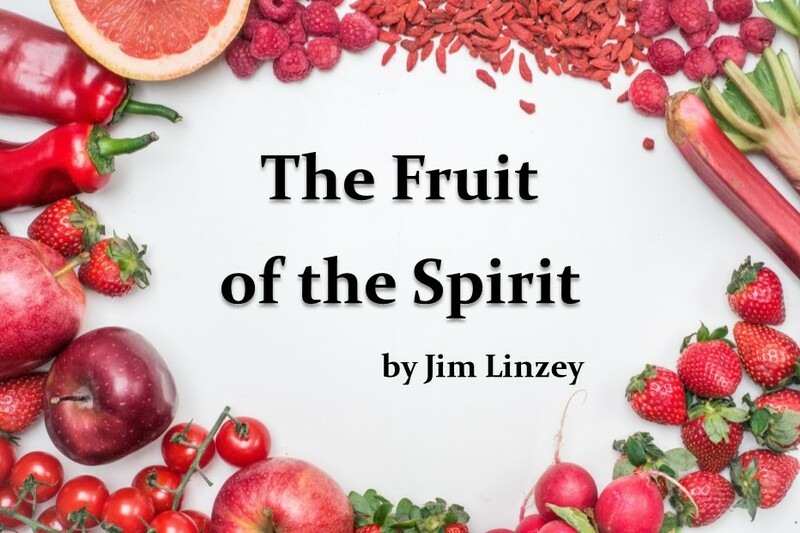 The spiritual fruit of joy is the outcome of Christ’s abiding presence. The word joy or some derivation of it is used more than 400 times in the Word of God (this does not include related words such as happy, blessed, or merry). An essential characteristic of the kingdom of God is “joy in the Holy Spirit” (Rom. 14:17, MEV). The Psalmist sang, “in thy presence is fullness of joy” (Psa. 16:11, KJV). Without doubt, joyfulness is an attribute of Divinity. 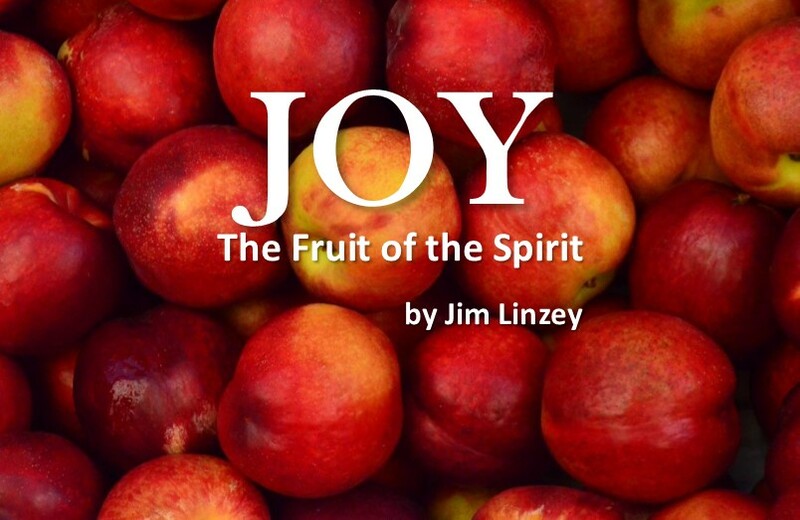 Joy as a fruit of the Spirit is a vital source of strength. It gives strength for ordinary tasks of life. It gives strength for the trials of life. It gives strength for what seems to be humiliating service. And joy can be a resource in overcoming temptation: James goes so far as to tell us to “count it all joy when you fall into diverse temptations, knowing that the trying of your faith develops patience” (James 1:2-3, MEV). Joy can be as effective as medicine for rejuvenating the body and soul. Divine joy should be distinguished from natural joy. Natural joy is cheerfulness or contentment or mirth. It usually is associated with the attainment of a desired goal, as satisfaction. But the joy which is a fruit of the Spirit has nothing to do with such external stimulation. Its source is the Spirit of Christ, a divine instillation of Christ’s presence within the believer through the agency of the Holy Spirit (Gal. 2:20). This spiritual fruit is the outcome of Christ’s abiding presence. Christians experience divine joy in varying degrees from certain various types of inspiration. Joy accompanies our spiritual ministration to others. There is the inner delight we find in the fellowship of the Lord’s people. There is the blessed refreshment from our nourishment by the Word of God. Joy through the agency of the Spirit of Christ may take the form of spiritual gladness or it may overflow into divine ecstasy. We see an outpouring of divine joy in Mary’s inspired response after visiting Elizabeth: “My soul magnifies the Lord, and my spirit rejoices in God my Savior” (Luke 1:46-47, MEV).